The holidays are one of my favorite times of year, because this whole season one does not need an excuse to bake. 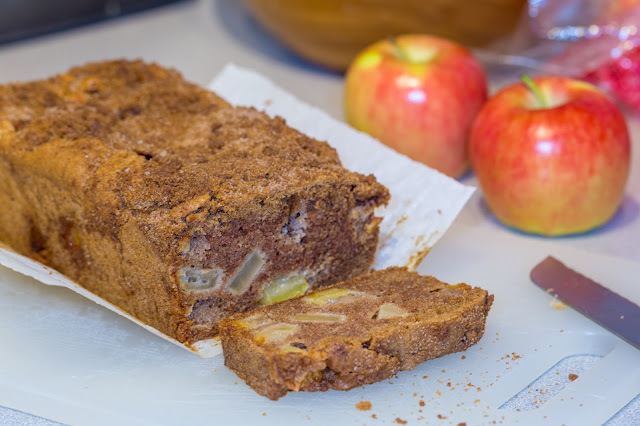 Of course, I bake frequently all year long, but suddenly it becomes ok, or even expected, to bring desserts for every occasion. And there are so many fun holiday flavors and decorations! 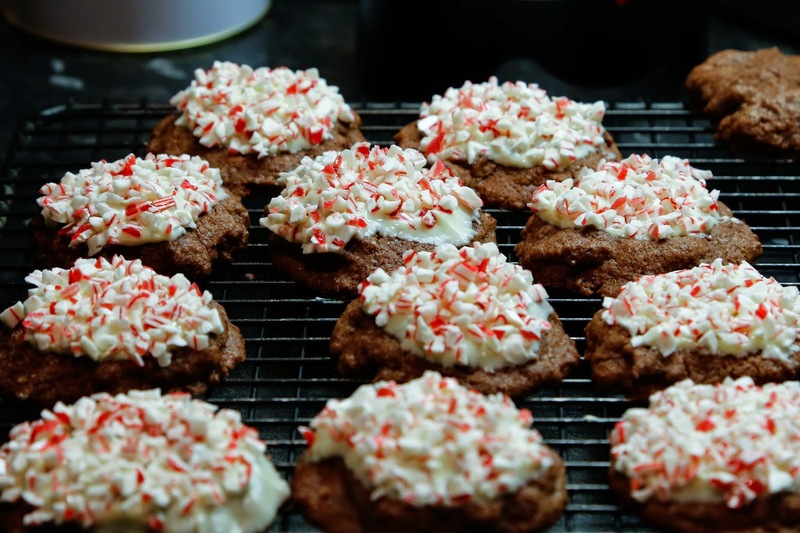 These candy cane cookies are one of my favorite easy festive recipes. They are pretty fast to whip up, and they look so cute! 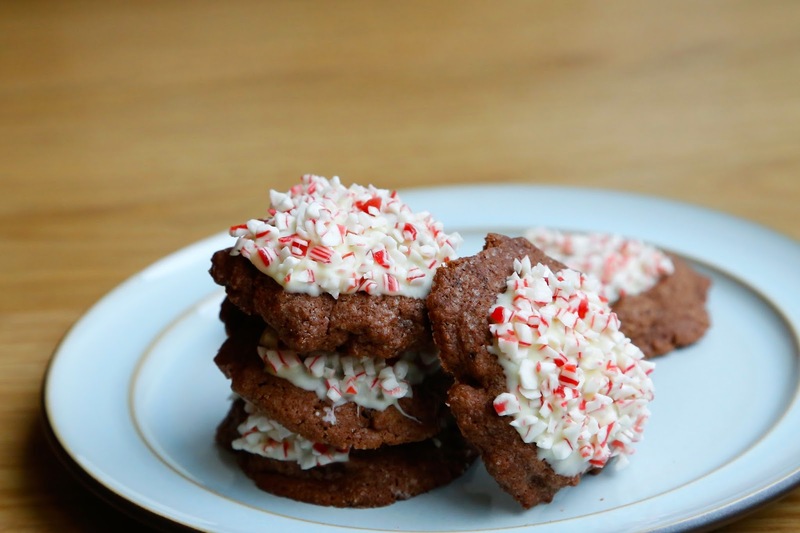 The crunchy minty candy canes complements the softer chocolates fudgey cookie below, held together with a touch of white chocolate. 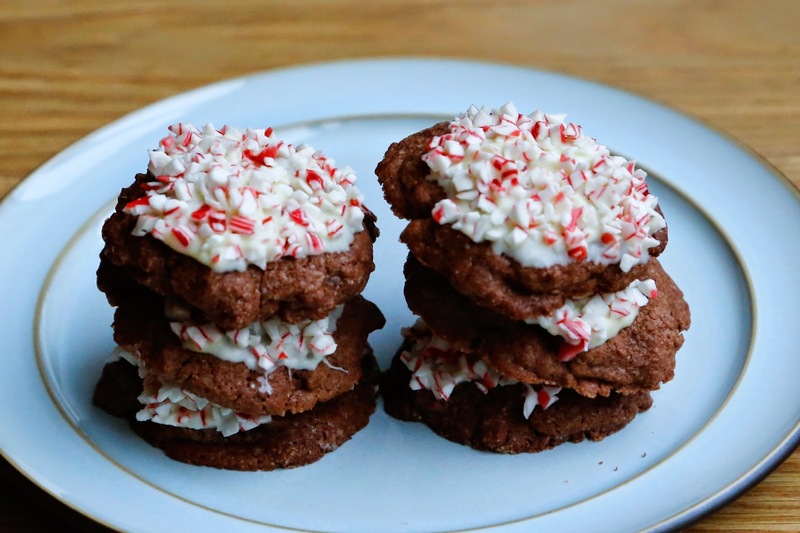 This year I was excited to stumble upon already crushed bags of candy cane in our local grocery store in the US, making these even easier to make. And if you are looking for quick homemade holiday presents, these cookies in a jar are a great option! Every time I bake these, they get lots of complements.... Something about the m&ms, oatmeal AND chocolate chips, combined with the great chewy texture make them a favorite for any occasion.